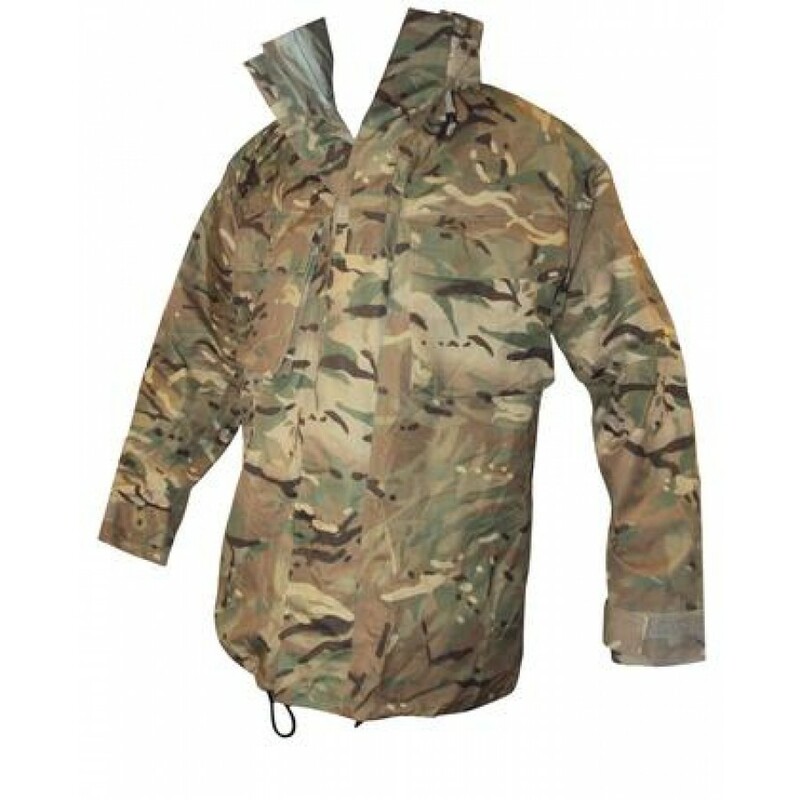 This latest UK issue waterproof jacket is now on widespread issue, made from a breathable goretex material in MTP Multicam pattern. This type is sturdier and more hard wearing than the lightweight packaway version also on issue, as intended for use in the cold wet UK climate as opposed to use in Afghanistan. Chunky front zip with velcro storm flap, velcro adjustable cuffs, and a hood which rolls up inside the collar when not required. There are two large velcro closure chest pockets, and central rank tab to carry wearers insignia. There is also a zip on the chest, beneath the storm flap, which opens to give access to pockets on inner clothing, if required.